What Do You See In This Dragon Age: Inquisition Screenshot? 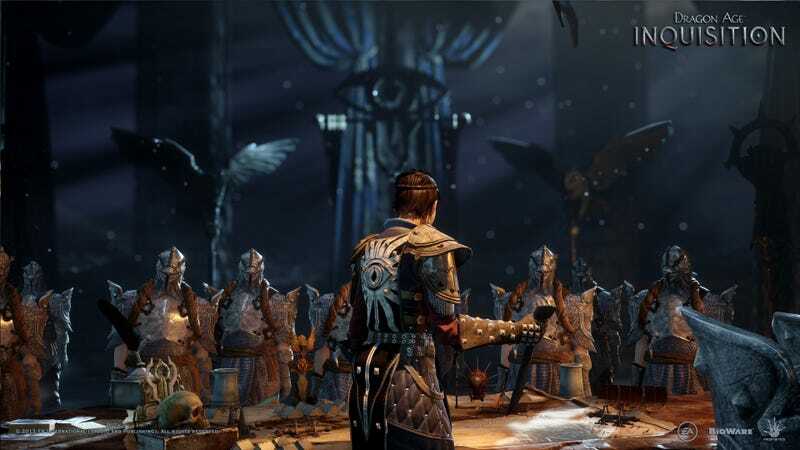 A couple days ago, this Dragon Age: Inquisition screenshot surfaced on the BioWare blog. Sure, it's just a high-res still of what we already saw in the big E3 trailer. But it raises some questions nonetheless. Who are these guys? Is that their hair next to their helmets? What's that thing on the table? What's with the eye? Is that your character? Or just some jerk? What's on his head? Or is it a she? I turn it over to you. Using our alternately cool/cluttering (the power is in your hands, people!) image annotation tool, show us what you see in this screenshot.